It’s a match made in heaven: the LEGO Foundation and Sesame Street are using their combined resources to commit to promoting the power of play and creating meaningful, hands-on learning experiences for children. The two super groups announced their collaboration at the 2016 LEGO Idea Conference and specifically outlined two initiatives as their initial joint effort. The Play Every Day program, designed to shift parent and caregiver perception about the value of play, will launch in low-resource, urban communities in several countries including India, Mexico, and South Africa. The LEGO Foundation and Sesame Street will hold community events in order to learn more about play, how it is perceived, and how it differs in varied cultures and will then seek out ways to best help integrate play into the lives of children. The other initiative will build on to an existing Sesame Street program (or Takalani Sesame) that has been active for the past three years in South Africa’s Eastern Cape. By adding LEGO play materials, including Duplo, to outreach kits that are currently being used in South African schools and by engaging caregivers and teachers in understanding the importance and value of play, The LEGO Foundation and Sesame Street expect to reach and influence 60,000 children and 6,000 caregivers. In addition to the fun that these play materials provide, they will also be used to teach skills such as spatial awareness, counting, and shape recognition. It's a match made in heaven: the LEGO Foundation and Sesame Street are using their combined resources to commit to promoting the power of play and creating meaningful, hands-on learning experiences for children. The two super groups announced their collaboration at the 2016 LEGO Idea Conference and specifically outlined two initiatives as their initial joint effort. The Play Every Day program, designed to shift parent and caregiver perception about the value of play,�will launch in low-resource, urban communities in several countries including India, Mexico, and South Africa. The LEGO Foundation and Sesame Street will hold community events in order to learn more about play, how it is perceived, and how it differs in varied cultures and will then seek out ways to best help integrate play into the lives of children. The other initiative will build on to an existing Sesame Street program (or Takalani Sesame) that has been active for the past three years in South Africa's Eastern Cape. 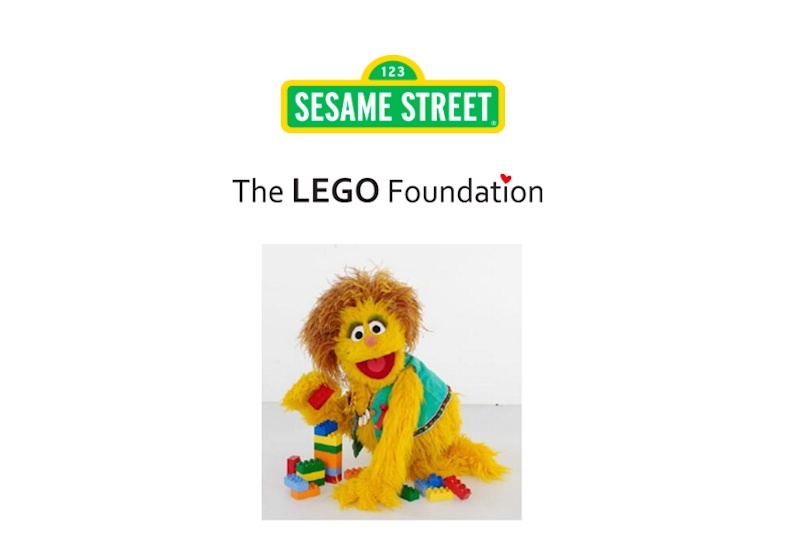 By adding LEGO play materials, including Duplo, to outreach kits that are currently being used in South African schools and by engaging caregivers and teachers in understanding the importance and value of play, The LEGO Foundation and Sesame Street expect to reach and influence 60,000 children and 6,000 caregivers. In addition to the fun that these play materials provide, they will also be used to teach skills such as spatial awareness, counting, and shape recognition.